Welcome in Chichis weekly blog! Today we are going to talk about wheelchairs. 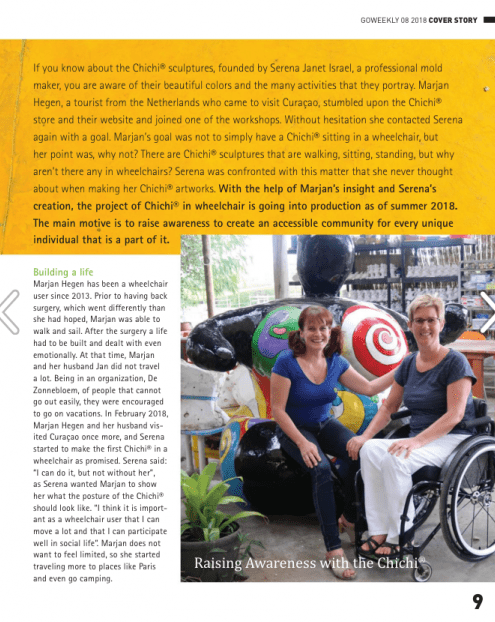 Because did you know that you can easily go to Serena’s Art Factory and visit the Factory where all our beautiful Chichis are made, when you are in a wheelchair? Well, you can! We as the proud team of Serena’s Art Factory do think that it is important to make all activities and especially the fun activities available for everyone. 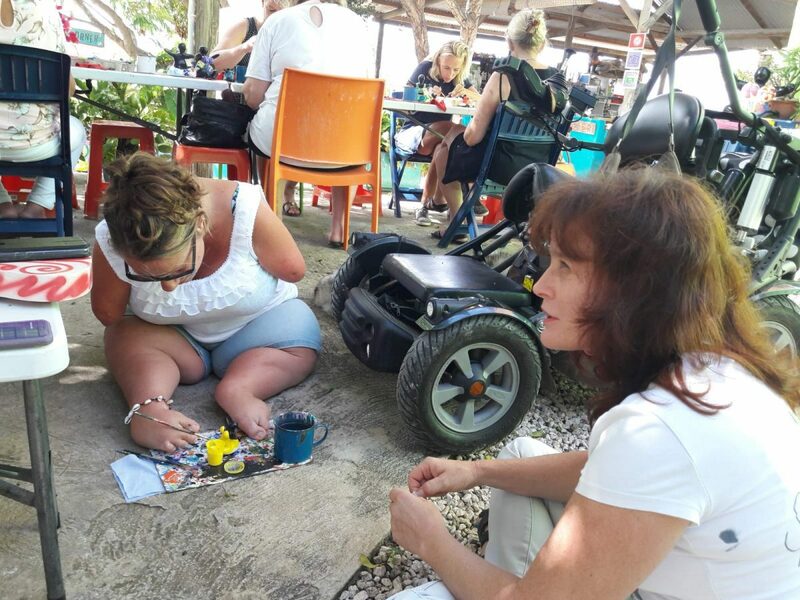 This is why we decided to make Serena’s Art Factory a wheelchair friendly environment! Thanks to all of your help we have been able to lay down asphalt so it will be easier to visit Serena’s Art Factory when being in a wheelchair. In addition, we have tried to raise awareness by creating a Chichi in a wheelchair sculpture! Have you already seen this beauty? We cannot wait to hear your thoughts!